A suicide attacker set off a powerful bomb near a police station in Russia’s Chechen Republic, killing three officers. His possible accomplice injured two policemen in neighboring Ingushetia while a third one wearing a suicide vest was detained. 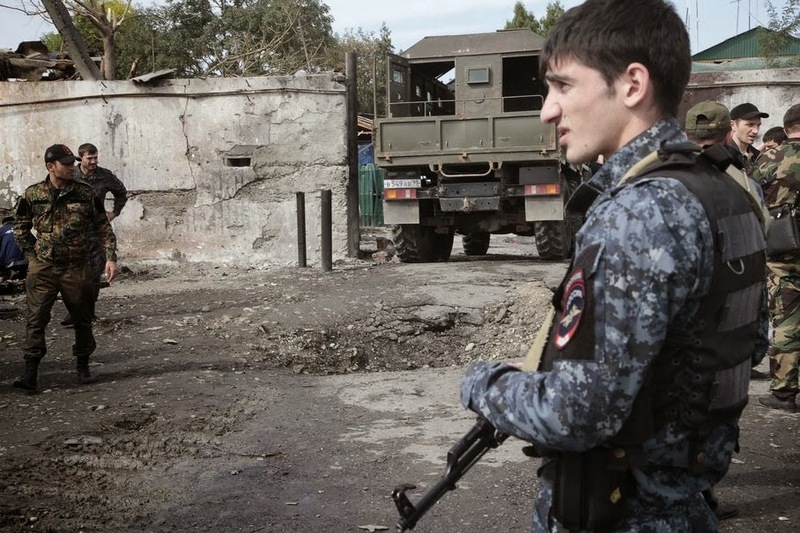 The head of Chechnya's FSB branch, Andrei Seryozhnikov, accused Umarov of ordering the attacks but said the commander of the Sunzha wing of the North Caucasus insurgency, Beslan Makhauri -- who was reportedly killed three years ago -- actually organized the bombings. So these latest attacks might be a foretaste of what is to come during the Sochi Winter Olympics which were not only threatened by Umarov but also by his boss Bandar Bush. According to security services, prior to the Independence Day of the Kyrgyz Republic and SCO summit in Bishkek, a terrorist group of the Islamic Jihad Union International Terrorist Organization was revealed and arrested at the end of August of 2013 in Osh province. “Members of the group were transported to the Kyrgyz Republic from the Syrian Arab Republic in order to prepare and commit sabotage and terrorist attacks. 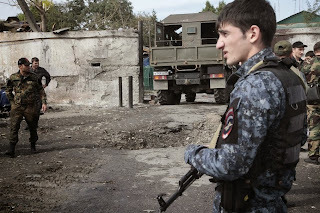 The group consisted of one citizen of Kazakhstan and two Kyrgyzstanis, natives and residents of Osh, who took part in the military operations against government forces in Syria as members of terrorist groups,” the National Committee for National Security informed. And the fact that our so-called opposition doesn’t disdain to collaborate with such radical organizations as Hizb ut-Tahrir is fraught with serious consequences. Experts note that the merger of these social stratums becomes stronger, if not to mention that some representatives of political elite are implicated with criminal world. “Criminal world is merging with religious organizations,” Head of the Main Interior Department of Chui province Kapar Batyrkanov said today at a joint meeting with participation of the Prime Minister of Kyrgyzstan Zhantoro Satybaldiyev. According to him, members of organized crime groups actively visit the mosques and read prayers. "A work is carried out to prevent the merger of the underworld with religious organizations," he said, and noted that talks and meetings with teenagers are held to improve prevention of juvenile crime. Barroso said 30 million euros in macroeconomic aid will be disbursed soon to help Bishkek and that an additional 13.5 million euros will be allocated to support the rule of law. J.Appathurai said that Azerbaijan and NATO look to update the NATO-Azerbaijan Individual Partnership Action Plan. "I believe there is real scope for a more substantial relationship. NATO is keen to strengthen its cooperation with Azerbaijan," he said. The Armed Forces of Azerbaijan, Turkey and Kazakhstan will hold a joint exercise in the short run, military sources told APA. The parties discussed the issues of strengthening bilateral relations after completion of ISAF mission, Cooperation on Defence sector and training Afghan soldiers in the Georgian military schools, Georgian Defence Ministry said on Thursday. 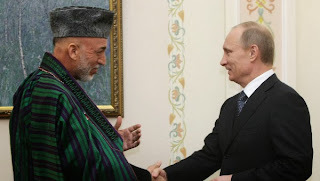 Karzai said that the government of Afghanistan is keen on Russia’s technical support in military and security related issues, since Afghan national security forces need more support from Russia in this regard. In the meantime, Russian president Vladimir Putin vowed to provide Afghanistan with the military equipments and weapons, besides providing training opportunities for the Afghan national armed forces. The presidents will also be briefed on the situation at the Tajik-Afghan border and on proposals on improving the efficiency of its protection, the spokesperson said. "The current situation at the border and within the Afghan border zone as a whole and the trends of its development remain quite negative. The presidents will consider the provision of military-technological assistance to Tajik border guards," he said. A northern district governor and former Afghan senator has defected to the Taliban, citing corruption and a lack of faith in the central government and its Western supporters. In the past two years the number of Punjab-based militants deploying to regions bordering on Afghanistan has tripled and is now in the thousands, says analyst Mansur Mehsud. He runs the FATA Institute, an Islamabad-based think tank studying the mix of militant groups that operate in Pakistan's tribal belt running along much of the 2,600-kilometer (1,600-mile) Afghan-Pakistan border. "In order for NATO to justify the maintenance of its forces, or some portion thereof, in the country after 2014, some plausible pretext for that presence is needed. The Taliban, of course, is that pretext, and the ever-present menace of Taliban forces present that boogeyman that will justify the ongoing occupation of the country until such time as they are eradicated or local Afghan security forces are deemed capable of holding their own against these terrorist forces." Speaking at a news conference, he also said according to informed sources in Kabul, there were over 100,000 U.S. contractors who were engaged in various security and other related responsibilities for both Afghanistan and Pakistan. “This number would not be affected by the draw-down of NATO troops,” Mushahid Hussain said. Private military or security firms offer many advantages like for example maintaining plausible denial in covert operation while at the same time reducing or eliminating the oversight powers of government. Balochistan and Xinjiang are the largest, least developed and restive provinces in the two countries. China wants to develop Gwadar as a gateway port for Xinjiang, which is also called Eastern Turkestan, where the East Turkestan Islamic Movement (ETIM), a militant Muslim separatist group, has been involved in many terror attacks on China. Balochistan also faces a separatist insurgency. Seven security personnel were killed on July 27 in an act of terrorism in Gwadar. 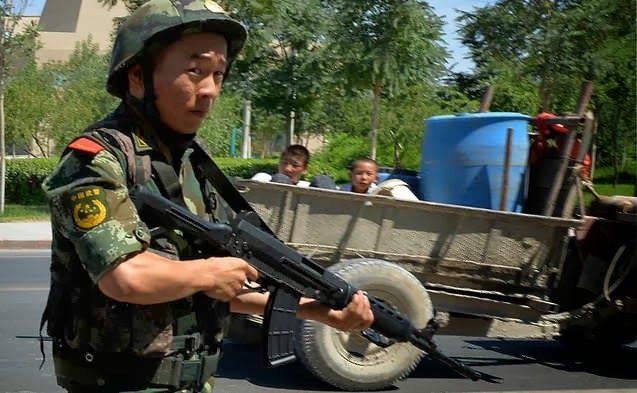 A court in northwest China's Xinjiang Uygur Autonomous Region on Thursday sentenced three persons to death and one person to 25 years in jail for a violent terrorist attack in the region's Shanshan County on June 26. Authorities in China's restive northwestern region of Xinjiang have shot dead up to a dozen Uyghurs and wounded 20 others in a raid on what they said was a "terrorist" facility, according to local officials and residents. While police refused to give details of the incident, which had been kept under wraps for about three weeks, local officials and residents said it occurred in Jigdejay village around the Kuybagh township on August 23 during a raid on an alleged training camp and munitions center operated by a group of about 30 Uyghurs. He said the camp had been discovered after the Uyghurs had made rocket launchers that exploded on testing, killing one of them. "One of them blew their own head off, or they wouldn't have been discovered," he said. "[We live] on the edge [of the county town]. The Gobi desert is right next door to us." Western media organizations are trying to demonize China and promote revolution and national disintegration as they hate seeing the country prosper, the head of China’s official Xinhua news agency said in comments published on Wednesday. “Some hostile Western forces and media do not want to see a prospering socialist China and target the spear of Westernization, separation and ‘color revolution’ at China,” Li wrote in a column.